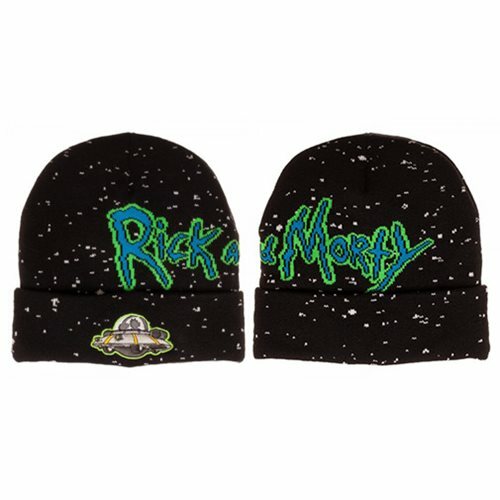 The words "Rick and Morty" and their spaceship travel through a speckled background of space on this fun-filled Rick and Morty Jacquard Beanie. Pop one on your noodle today! Ages 14 and up.